NextStep Marketing Named Top Local Agency in Charlotte, NC by UpCity! Charlotte digital marketing company, NextStep Marketing, has been name Top Local Agency by Upcity! 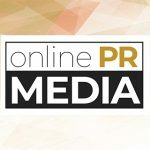 Online PR News – 28-September-2016 – Charlotte, NC – As you may know, NextStep Marketing has been providing high quality digital marketing services to clients just like you in Charlotte since 2007. However, today we're excited to celebrate our designation as a Top Local Agency in Charlotte, NC by UpCity! UpCity's Top Local Agency marketplace is a resource designed to connect small and medium sized local businesses with high-quality digital marketing service providers in their local area, allowing business owners to get the services they need quickly, from a service provider they can trust. The UpCity team independently reviews agencies across North America to determine the best service providers in each local market, ensuring that no matter where you are, great digital marketing services are never more than a click away. To check out our profile and discover the UpCity Top Local Agency platform for yourself, follow this link: http://upcity.com/local-marketing-agencies/profiles/next-step-marketing#contact. UpCity provides a comprehensive local inbound marketing platform to help digital marketing agencies scale SEO, local and social marketing services. The UpCity platform serves as a single operating system that includes robust project management, sales tools, reporting, and can be fully white labeled to streamline client engagements from onboarding to ongoing engagement. UpCity, a venture capital-backed business based in Chicago, was founded in 2009. Learn more at http://www.upcity.com/. We focus on educating clients on how to increase market exposure and improve sales performance. At NextStep, we believe in strategy first and work collaboratively with client leadership to define, monitor and implement inbound sales and marketing tactics that drive success. In fact, we believe so strongly in developing strategy first that we trademarked the term StrategyB4Tactics®. Through understanding and identifying organizational goals and objectives, NextStep helps clients create inbound marketing strategies, processes, and tactics to improve brand awarness, get new customers, grow sales, and provide greater market penetration.